The lyrics do not contain the non-business-related content, you could enjoy the music with the Accurate and Clean Lyrics. 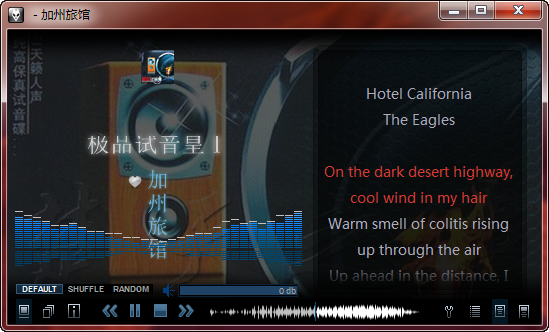 Support display and editing of accurate karaoke lyrics. Support Bilingual/Multilingual Lyric comparision-display with line-break, and karaoke at the same time. Beautiful and easy-to-use, high performance. AutoLyric is the first and the real one supporting word-wrap dynamic lyrics show. AutoLyric can automatically find the most match lyrics by local search or online search. You could edit lyrics easily by AutoLyric Lyric-Edit function. AutoLyric supports multi-language in the convenient way,and you could specify the certain font for specific language. AutoLyric perform fast and smooth. AutoLyric support rich show styles and effects. 5）you could save and config view solutions.